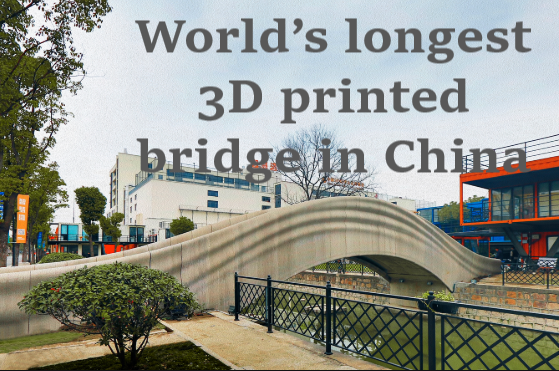 On 22nd January 2019, the world’s longest 3D printed concrete bridge was opened in China. It is situated on the Wenzaobang River in Shanghai. The Bridge was designed by Professor Xy Weiguo from Tsinghua University in China. The bridge is of 26.3 meter-long and 3.6-metre-wide and is made out of 44 hollowed-out 3D printed concrete blocks. The concrete units for the bridge were printed by two robotic arms, which took about 19 days time. The bridge is inspired by another ancient Chinese bridge called Anji.